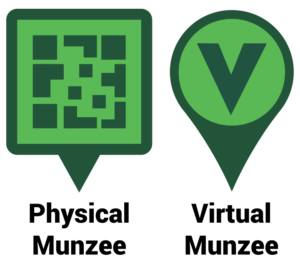 Munzee – Scavenger Hunt » Introducing the NEW Munzee Logo! Introducing the NEW Munzee Logo! We are proud to announce that alongside the release of Munzee 4.0 beta, we are officially launching an all new Munzee logo. For seven years the Munzee logo has continued to evolve, but much like the game itself the focus has always been on the Greenie icon. Greenies are the backbone of the Munzee gameplay experience. These pins bridge the gap between our real world gaming arena and the technology that makes it happen. The Munzee logo holds a place in the hearts of many of our players, and certainly of our team. We all wear it like a badge of honor on stickers, patches, and shirts across the world. This new version is simply an evolution of the concept that has brought us all together. The new logo features a new font and perhaps most notably an updated version of the pin icon. 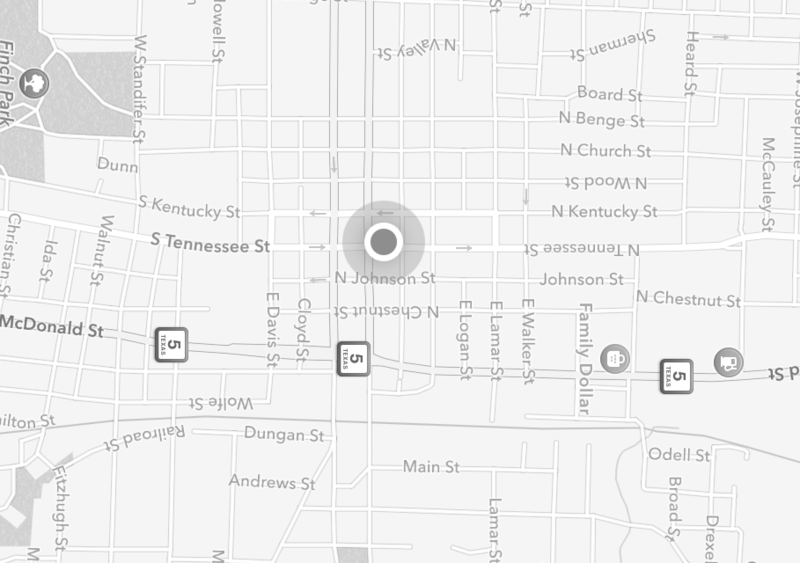 We have replaced the traditional rounded GPS pin with a square design, which is modeled after our QR code game pieces. The new icon represents a merger of the QR code and GPS pin. As two individual icons these represent key functions of Munzee’s gameplay; together these represent the game itself. 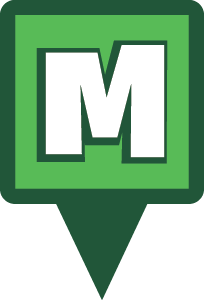 The redesign of the Munzee pin icon also represents a practical gameplay function. In the newest version of the app all in-game munzee designs have been changed to reflect the difference between physical and virtual munzees. Moving forward, all physical munzees will be represented by square icons to signify that they are QR code stickers players can locate in the real world. All virtual munzees will retain the rounded pin shape and feature a prominent “V” marking. Many of you may be asking, why change what works? Why mess with a symbol the community has gathered behind for years? We’re happy you asked. The decision to redesign the logo, in part, was based around the merger of Munzee Inc. and Freeze Tag Games last October. The previous version doubled as a logo for both the game of Munzee and the company that developed it. When a brand tries to identify as both a company and a game, it becomes difficult to balance the professionalism of the business with the creativity of the gameplay experience. After the merger we were very aware of the need to focus on the Munzee brand and define what that means. Our hope is that this new logo embodies the adventure, discovery and whimsical experience of playing Munzee. 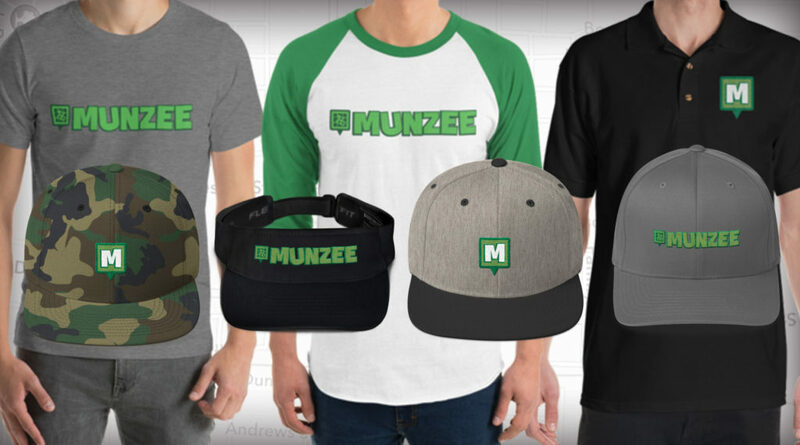 We want you to show your pride in Munzee’s past, present and future so new Apparel and Personal Tags are NOW AVAILABLE in the Freeze Tag Online Store! The new collection includes shirts, hats and more featuring the new logo, but new designs will also be released at launch of the 4.0 app as well. Our purpose in announcing the new logo now is so we can have everything prepared by the time the new app launches. You’ll see the new logo begin to rollout to the website over time as we get closer to the public release of the app. All of the new logo and pin shapes will not be available on version 3, so stay tuned for more info regarding 4.0’s release soon! Selected Beta testers will be notified shortly regarding how to begin the download process, so bear with us as we begin that rollout. We’re very excited for what is just the beginning of a slew of updates that will enhance your gameplay experience unlike ever before! Rob also mentioned something about a Greenie point update at the end of his announcement video… more news soon? Munzee on! This entry was posted in ANNOUNCEMENTS, GAMEPLAY, NEWS, PLAYERS, STORE, TEAM MUNZEE, UPDATES and tagged 4.0, A Real World Gaming Adventure, android, app, badges, capture, clan, deploy, dossier, event, EVENTS, eventzee, exercise, friends, fun, geocaching, GPS, health, hide and seek, international, logo, MHQ, munzee, munzee 4, new logo, player, point update, ruby, Scatter, Scatter Munzee, scavenger hunt, special, team munzee, technology, tour, travel, trip, update, virtual on September 12, 2018 by Team Munzee.